Learn how to track your marketing efforts so that you get the most out of your marketing dollars. Every camp operator understands the most important factor in having a financially successful camp – enrolling campers. Successful camp operators report that 33% of campers are return campers and 33% campers are referrals. That means that 33% of the remaining campers need to come from marketing efforts. Marketing requires time and money. Successful camps figure out how they get the best results for their time and money. John Wanamaker, a very successful retailer during the 19th century, famously said: “Half the money I spend on advertising is wasted; the trouble is I don’t know which half.” Many of us still struggle to know what marketing efforts yield results, but with some advance planning, you can track and measure your marketing efforts, especially when marketing online. 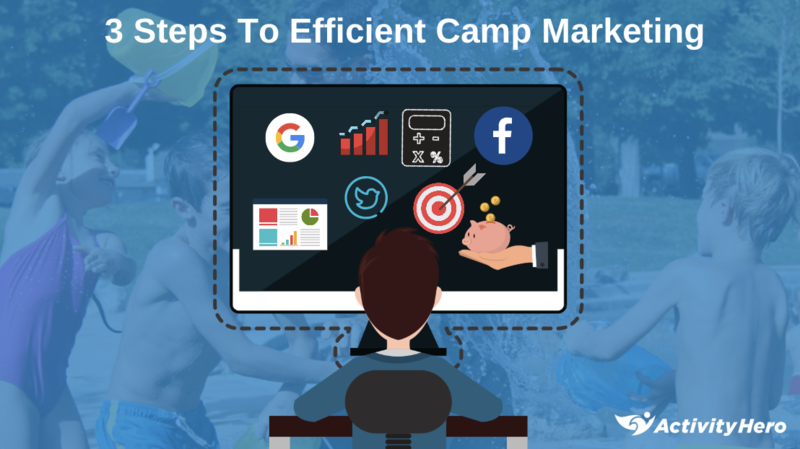 To calculate how many camp registrations you need to make an advertisement profitable, you need to know your profit per camp session. Here we are talking about the profit on each additional camp registration. For example, if you charge $400 per camp session, and it costs you $75 for the additional supplies or food for that session, you have a profit of $325. This assumes that your fixed costs such as rent and staff are already covered by your returning campers, so this number is not the same as compared to the overall profitability of your camp. So if an ad costs $1,000, you need at least 4 new camp registrations to break even on the advertisement. Your ability to track the number of new campers as a result of each advertisement will depend on the type of marketing campaign. When you have an ad or flyer that tells people to go to your website to get more information and register, the best way to determine how many people found you from that ad is to use a unique promo code. Then you can see how many times that promo code is used. The promo code also gives the purchaser a discount, but it doesn’t have to be very large — even $10 off makes it worthwhile for the purchaser to enter the promo code. Alternatively, you can use a unique URL in each ad, but you don’t want a URL that is too difficult to type into a web browser. To track digital advertising such as emails or banner ads, you will need to use tracking URLs and analytics software to track how many people visited your website and how many made a purchase. 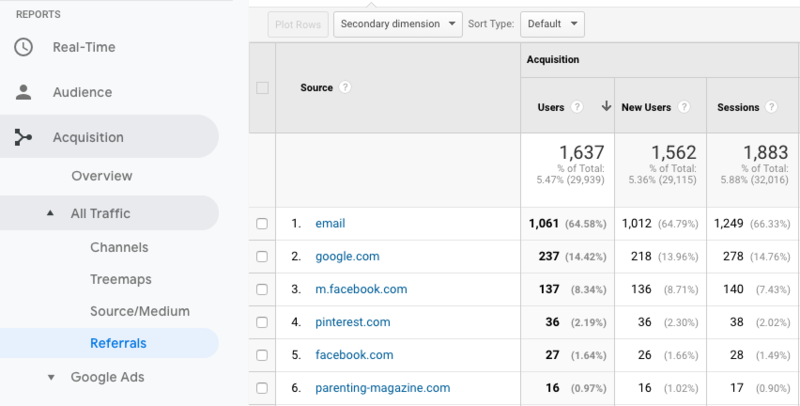 Google Analytics is free and is by far the largest analytics provider. Once you install it on your website you’ll be able to see traffic from different sources and track conversions. To track email ads, you need to create campaign URLs which let you see how many visits and purchases came from a specific email campaign. These campaign URLs append a string like “utm_src=email&utm_cam=feb21” to the end of your URL and allow Google Analytics to track the set of users who come to your website. If you don’t use a campaign URL, traffic from emails will be categorized as “Direct” in Google Analytics. By using campaign URLs, you can track what happens after the visitor came to your website (eg: did they bounce and leave or did they make a purchase). Having your own data source is also useful to validate the data that you are given by the advertiser. Sometimes the data may be off by a few percent due to technical reasons, but it should not be off by 50% or more. When you use Google or Facebook ads to drive more traffic to your website, you need to install their tracking code onto your final purchase page to track how many purchases you receive. These ad platforms track two types of purchases: clickthrough and view-throughs. A typical attribution setting is 1 day view-through and 30 day click-through. What this means is that if someone clicks on your ad on day 1 and purchases 30 days later, Google is going to count that as a purchase that you received as a result of the Google ad. A view-through means that Google knows that a person was shown your ad, but didn’t actually click on it. If that person visits your website and makes a purchase within 1 day of being shown your ad, Google is going to count it as a view-through conversion from the ad. If you feel this is overly generous or restrictive, you can customize your attribution settings in Google or Facebook reports. When you advertise on ActivityHero, you pay only when a camp is purchased, so you will know how many purchases you get from this source. You may also get some view-through purchases, if someone sees you on ActivityHero and then purchases on your website. A survey question like “how did you hear about our camp” on your registration form will help you get data on other sources such as word of mouth or friends. Be sure to include all of your active campaigns and make the options specific (eg: Google Ad, Facebook Ad, Parent magazine, ActivityHero, San Francisco camp fair) rather than general (online search, print ad, camp fair). You may want to allow multiple answers since many people may have heard about your camp from multiple sources. Keep in mind that surveys or questionnaires is self-reported information and some people won’t remember how they heard about your camp or be tempted to choose the easy answer. Emails to your mailing list should always have the highest conversion and lowest cost per conversion. However, if your email list is primarily consisting of existing customers, you need to reach a wider audience to fill your camp. If you have a campaign that is on the borderline of being profitable, use your existing information to negotiate! You may be able to decrease cost or increase reach to make the numbers work. Online advertising should always have a higher conversion than print or direct mail. An online ad takes the customer to where they can sign up. A print ad or direct mail requires additional action by your camper. If you’re paying a form of advertising that never shows up in your surveys or using the other tracking methods, it just might be part of the half that is wasted money. By following these steps to track results from your marketing campaigns, you will have a better idea of where your time and money is best spent. Evaluate your results monthly so that you can adjust your marketing throughout the season and you’ll grow your camp profitably.